Every Myanmar male is expected to take up monastic residence twice in his life – once between age 10 and 20 and then again after age 20. 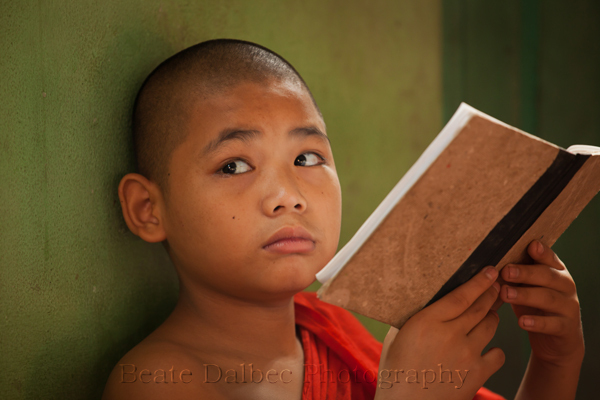 Monasteries are also a place for poor families to send their children to receive a free education. 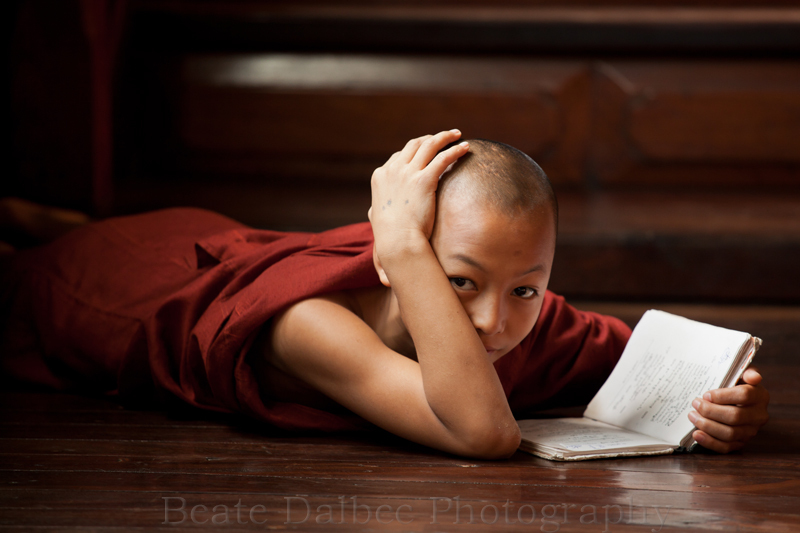 We walked into this monastery in Yangon as the young monks were studying. The room was only lit up by some sunlight shining through the cracks of the door and partially closed windows. What wonderful light. 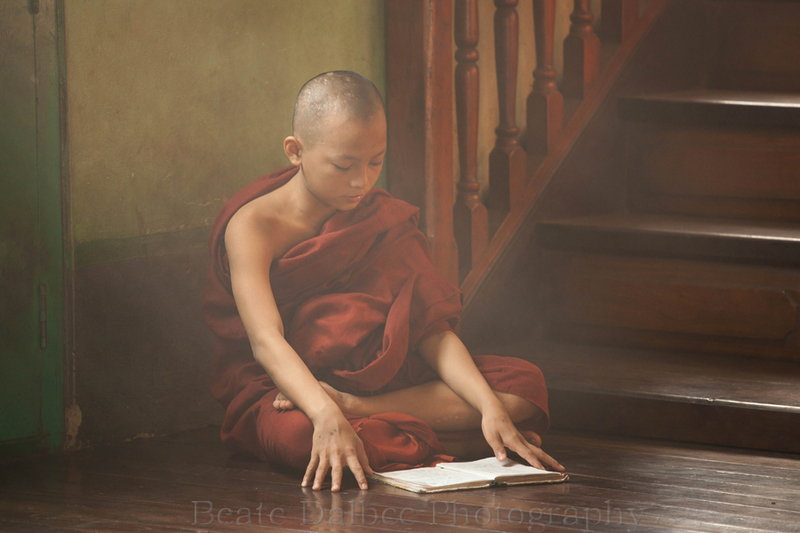 It required a fairly long exposure, but fortunately these young monks were supposed to be studying and sat fairly quiet (but I think we provided a welcomed distraction 🙂 ). For more images from my trip to Myanmar, please check out my website. 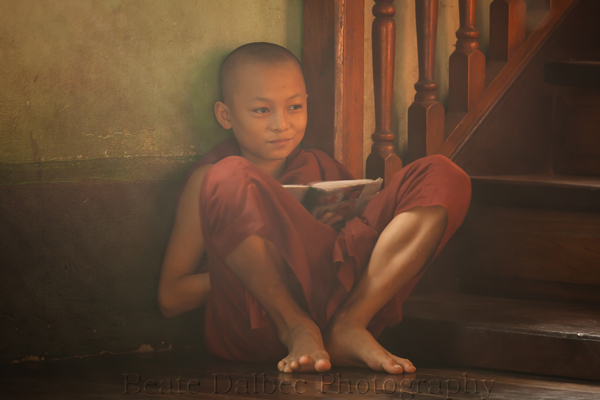 I like the on of the monk on his belly reading. Such a good moment. I love the fourth one! My wife and I were in Myanmar in october. We so want to go back, and we will. Thank you Yves! I do want to go back to Myanmar also. Such an incredible place! Lovely light and expressions in these Beate. You really captured the inner child wanting to escape from these disciplined students. Hi Beate! I’ve enjoyed following your travels. Great set of images here. I especially love the second to last one, amazing! Thank you, Anne, that’s my favorite also.